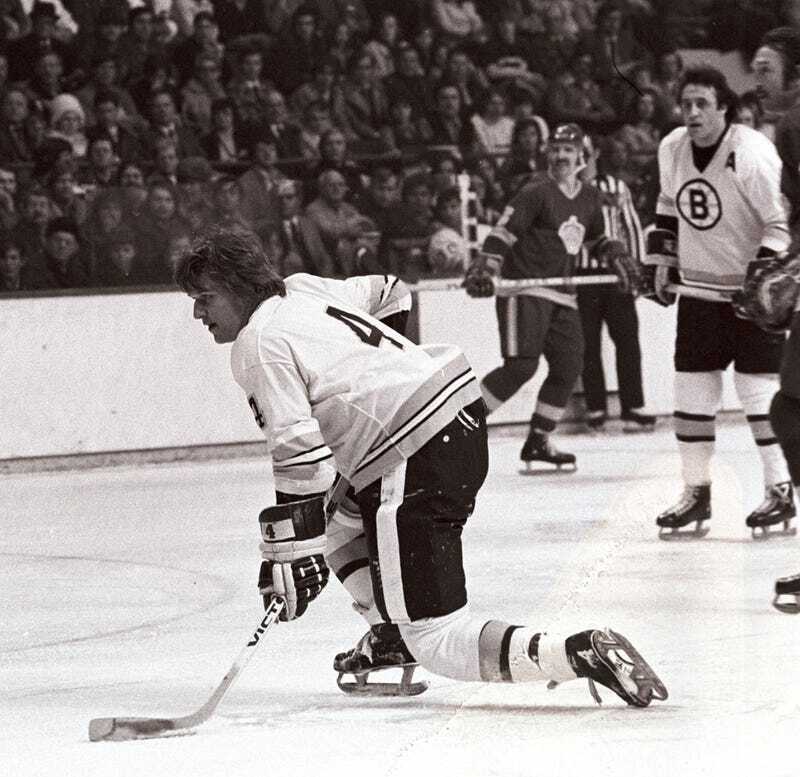 My dad, who watched an awful lot of hockey in his day, used to tell me that I never saw the best of Orr because by the time I was old enough to appreciate him his knees were shot. But what I saw, what I was able to see in those pre-cable days, was spectacular. Orr was Wayne Gretzky before there was a Wayne Gretzky. He utterly transformed his position and the game itself. He was so much better than the other players around him, and played with such artistic majesty, that he could take your breath away. He was an athlete, rare then and now, who lived up to the incredible hype that had been built up around him as he made his way from Parry Sound, Ontario, into the National Hockey League. And then, in 1978, after a 12-year NHL career trimmed by injury, he was gone from the ice onto a career as a spokesman and, ultimately, player agent. This fall, more than 40 years after his last Cup, after decades of a rich life filled with charity work, a national icon now even to the generations who never saw him play, Orr at last (with the help of Vern Stenlund) has produced a memoir, titled Orr: My Story. Like many other hockey fans, I rushed to buy and read it. It explains an awful lot about Bobby Orr, it's true, but in ways that I think most readers, and most of his fans, would find surprising and perhaps even a little disappointing. It is a book as dull as he was creative, as plodding as he was fast, as conservative as he was liberal in the way that he played the game. Mozart lived like the music he composed. Shakespeare's life was as dramatic and mercurial as was his work. In his prime, Muhammad Ali talked like he boxed and boxed like he talked. Sinatra? Please. But Robert Gordon Orr, forever Number Four, as much an artistic genius as any man dead or alive, doesn't try to recreate the glory here, doesn't seek to resurrect his craft. Instead, modestly, he tells us that he hopes his memoir "will hit a chord with you about some of the important things in your own life as you continue along the journey." In this bland, dutiful offering, in this earnest effort to help, in this paean to hearth and home, in this as in everything else, he is as eternally Canadian as it seems he always has been.